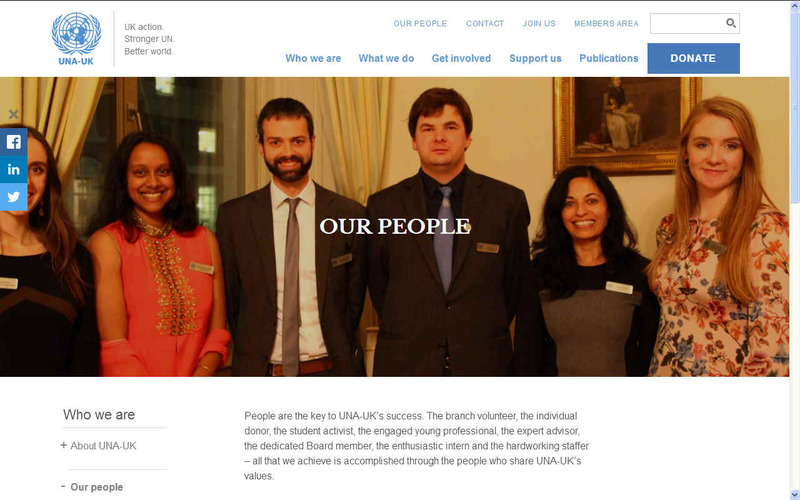 UNA UK PEOPLE - The United Nations Association of the United Kingdom is dedicated to furthering the objects of the UN. 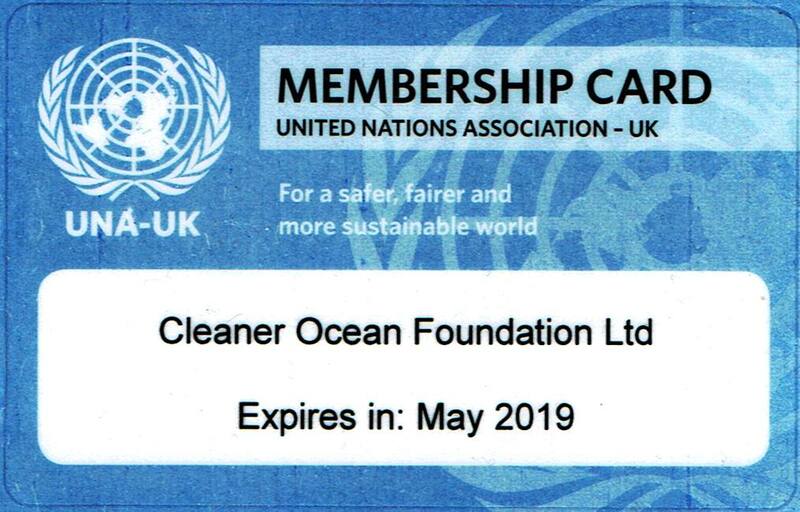 As members of the organisation, we are committed to helping by looking for and experimenting with potential solutions to pollution and climate change. As the country's leading source of independent analysis on the UN, we have sought to build a better understanding of the challenges facing the world. Through our work with decision-makers, we have championed multilateral solutions to these challenges. By working with practitioners and experts, we have endeavoured to strengthen international law and cooperation. By providing education and volunteering opportunities for young people, we have helped to equip new generations of internationalists. By demonstrating why the UN matters, we have encouraged people to act on their responsibilities as global citizens. And by connecting people in the UK to the UN, we have made the case that the UN is an indispensable tool for the UK, and that support by the UK government – a key player at the UN – is necessary for international initiatives to succeed. More than six decades later, the need for the UN – and UNA-UK – has never been greater. Together with our UK-wide network of members and supporters, and our partner UN Associations across the world, we continue to make the case for a strong, credible and effective UN and campaign for a safer, fairer and more sustainable world. Historically, the UNA Trust has provided significant funding to UNA-UK in order to achieve the objects of the Trust, which are identical to those of UNA-UK. In 2012, the two organisations agreed to "merge" into a single charitable entity. The Trust has now transferred its assets to UNA-UK and is effectively a dormant body. Our keynote speaker is Jeremy Gilley, Founder of Peace One Day, who spearheaded a campaign that has seen a General Assembly resolution unanimously adopted by UN member states, marking 21 September as an annual day of global ceasefire and non-violence on the UN International Day of Peace. This is your chance as a group to sell your idea. Pitch your campaign action to the crowd to find out who will pledge to take action with you. 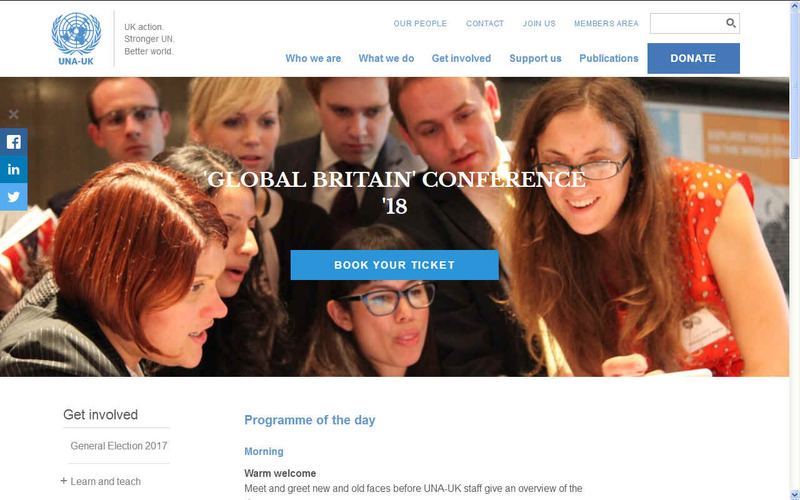 UNA-UK is the UK's leading independent policy authority on the UN. Our staff and the members of our expert Advisory Panel can speak on issues relating to the work of the United Nations.